Dungeon Rushers is making its journey from PC to Android and iOS on February 23rd. The humorous dungeon crawler boasts over 20 hours of gameplay with the ability to create your own dungeons. The game also features leaderboards in order to compete over various challenges. Elian, a toilet cleaner by profession, aspired to a better life and decided to join the (almost) noble community of dungeon looters. Travel by his sides through dusty crypts, not really abandoned mines, a wild jungle, a deserted… desert and even a Richelin-starred tavern. Do your best with the strange characters you will come across during your journey to stop the dealings of a dark enterprise trying to monopolize the dungeon market. Dungeon Rushers is already available on Steam, if you’d like to give it a try before the mobile version releases. 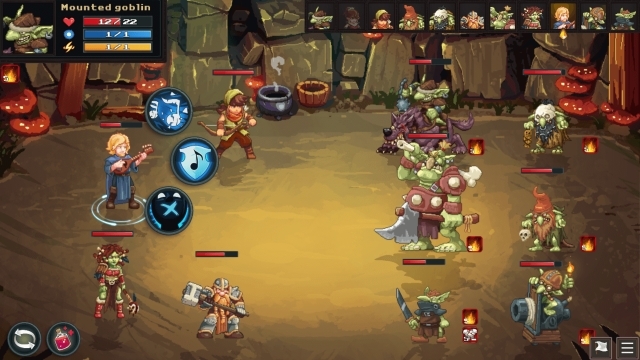 The game was developed by Goblinz Studio and published by Mi-Clos Studio.